After a year studying graphic design at the Catholic University of Chile, in Santiago, Rafael Sottolichio undertook a diploma in visual arts at the CÉGEP de Saint-Laurent in Montreal in 1991. He earned a BFA in 1996 and an MFA in 2009 at the Université du Québec à Montréal. Sottolichio has had work in numerous solo and group exhibitions. 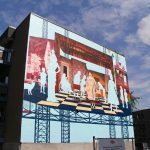 He has produced a number of murals, including including La maison que nous avons bâtie (The House That We Have Built) in 2007 for the Integration of a Public Work of Art Competition and the Pere-Marquette Centre in the borough of Rosemont-La-Petite-Patrie, and the one for the Patro Le Prévost community and recreation centre, Ensemble, in 2009. He is represented by the Lacerte Contemporary Art Gallery. 2013 and 2014 marked the 45th anniversary of the first performance of the play Les Belles-sœurs (1968), the 30th of Albertine, en cinq temps (1984), the 40th anniversary of the plays Hosanna and La duchesse de Langeais and of the novel C’ta ton tour Laura Cadieux (1973) and above all, it marks the 35th anniversary of the publication of La grosse femme d’à côté est enceinte (1978), the first of the Chroniques du Plateau-Mont-Royal. It was therefore inconceivable to overlook this opportunity to pay tribute to novelist and playwright, Michel Tremblay. 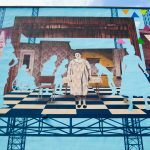 Directly inspired by his body of work, the mural celebrates Tremblay’s invaluable contribution to Quebec literature as well as the quintessential Montreal borough on which he shines a spotlight : the Plateau Mont-Royal. The artwork presents several characters from Tremblay’s imagination : Marcel Duplessis and his cat, Albertine, Thérèse and Pierrette, both from the Chroniques du Plateau-Mont-Royal, Hosanna, and of course the Belles-Soeurs : Olivine Dubuc, Rose Ouimet, Marie-Ange Brouillette, Pierrette Guérin and Germaine Lauzon who gave her name to the mural. 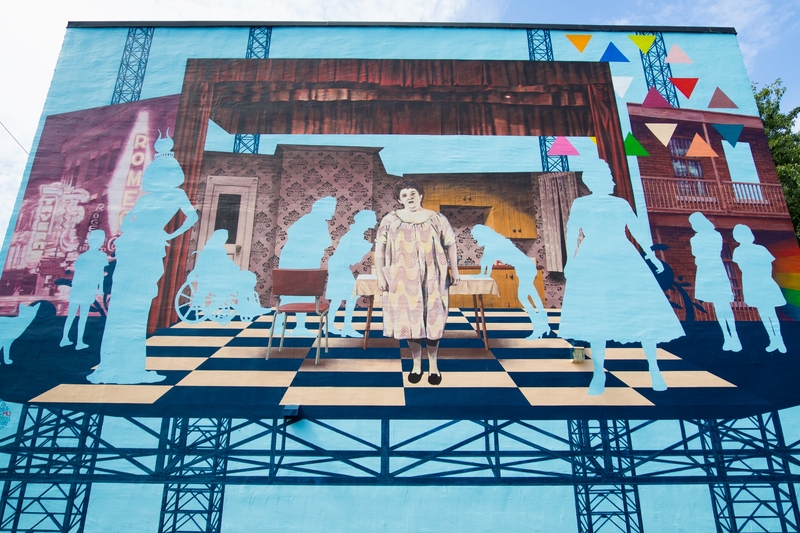 The mural is part of a series entitled “Hommage aux bâtisseurs culturels montréalais” initiated in 2010 to highlight the contribution of the creative minds and forces behind Montreal’s reputation as an exceptional North American city.